This car looks like it was a one off concept car by Aston Martin. Unique, less than 500 made. Fits the Show or Display requirements and was approved for this exemption. Since it was based off the hardtop car, the engine should have been close to what was offered in the USA. 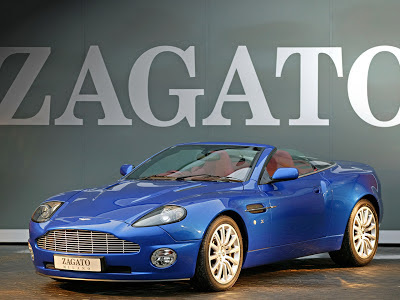 The Vanquish was the basis of two concept cars, both shown at the International Geneva Motor Show in 2004, the Zagato Roadster (a 2-seat convertible) and the Bertone Jet 2 (a 2-door shooting brake). Zagato and Aston Martin: a strong alliance that goes back to the 60s with the legendary DB4 GTZ, continued in the 80s with the Vantage and Volante, and is now firmer than ever in the new millennium with the DB7 Zagato and American Roadster 1. These are the cult cars of collectors and enthusiasts, always prime examples of the “instant classic”. At this year’s Geneva Motor Show, Zagato is presenting the Roadster version of the Aston Martin Vanquish, partly leaving unchanged the original project. For the first time, this Milan workshop is not giving an entirely new look to the production model, but is offering an interesting variation of the Vanquish, introducing innovative, futuristic touches of style. While the Aston Martin DB7 Zagato and AR1 were initially presented to customers in the form of a limited edition, immediately sold out, the Vanquish Roadster is a “provocation” proposed by Zagato with the backing of Aston Martin itself. Close cooperation between Nori Harada, Zagato’s Automotive Chief Designer, and Peter Hutchinson, Design Manager at Aston Martin, has resulted in this new car introducing elements that are a sharp break with the Roadster segment. A decidedly original interpretation that combines the totally unique design of the rear with the introduction of a functional modular cover system. A hard top for winter, developed to not appear as an add-on but as an integral part that also takes in the rear. On warmer days of the year, its place is taken by a transparent hardened glass and an easily used soft cover. Developed by Zagato’s engineers, this soft top is easily and simply mounted and, when not in use, is held in the luggage compartment without taking up much space. The car has a round rear light cluster, a tapered tail to best feature the wheelbox and a completely new rear bumper. The hardened glass, with its curvy ‘double bubble’ form, emphasises how unique and valued is this proposal, balancing in a different, almost extravagant way, the relationship between the solid and void. Special care has been applied to the interior trim, made exclusive by the design and type of seaming introduced. A luggage compartment immediately behind the seats can also be seen through the glass cover. 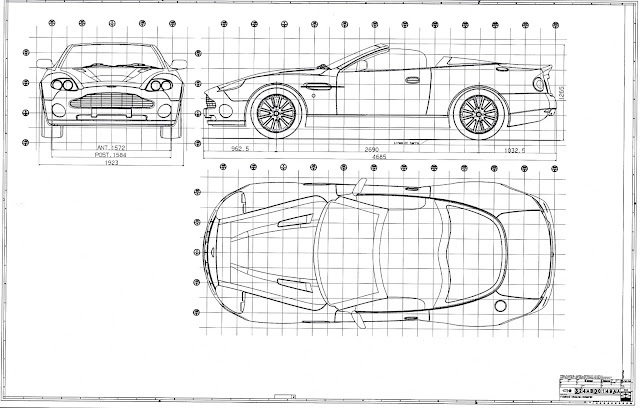 At the front, the Vanquish Roadster proposal retains the design of the coupe version famous for being James Bond’s most recent car.